Apple has updated all three iWork iOS apps to resolve bugs that prevented Accessibility features working properly. Apple says that Pages, Numbers and Keynote all had “an issue that prevented proper navigation and editing with VoiceOver,” while Pages also blurred text when turning on Speak Screen on some iOS devices. The updates are to version 2.5.4. Updates are of course free for existing users, each app costing $9.99 to purchase. 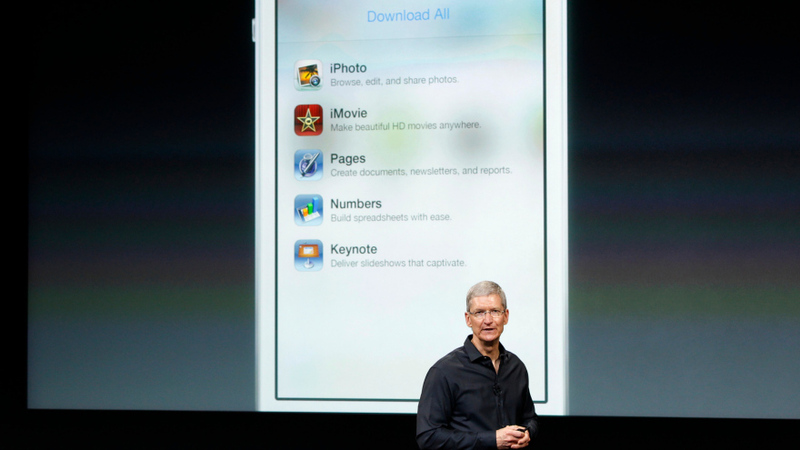 Pages, Numbers and Keynote can all be downloaded from iTunes. Apple places a great deal of emphasis on making its devices usable by as many people as possible, recently highlighting accessibility apps for Global Accessibility Awareness Day – and CEO Tim Cook famously telling investors to “get out of this stock” if they weren’t willing to see money invested in things like accessibility and environmental initiatives. During Apple’s September event, the Tim Cook announced that all new iOS devices purchased after September 1st would be given the option to get iWork and most iLife apps for free. Some users who had purchased iOS devices after the first of the month, however, had already paid for those apps prior to the announcement, or paid for them after the announcement due to confusion about how to claim the free versions. Today Apple began sending out emails to eligible users who paid for the apps informing them that their iTunes accounts would be credited for the software they should have gotten for free. The amount listed in the tips we’ve received varies from customer to customer, so it appears the credits are only for the apps that were paid for, not the total price of all five apps. The refund can be claimed via an iTunes Store redeem code included in the email. You can read the full message from Apple below.